The Democratic Republic of Congo’s lower house of parliament, the National Assembly, has begun to debate a new oil bill which has been criticised by campaigners, MPs in Congo and donor governments. Global Witness is extremely concerned that the weak provisions of the bill – which began being debated yesterday – would fail to prevent the widespread looting of state assets and oil-drilling in World Heritage Sites. We publish today the latest version of the law, from October, and our suggested text amendments (both in French). The Democratic Republic of Congo is about to rush through contentious legislation to govern its growing oil sector, potentially ushering in an era of wide-scale corruption and environmental damage, according to international organisations and watchdogs. The resource-rich central African country has a small oil industry, pumping about 25,000 barrels per day, but analysts expect a spike in production as the DRC’s political situation stabilises and concessions are awarded to companies across the country. Oil majors such as Chevron and Total already have interests in the country, as do smaller operators such as London-listed Soco International. The draft oil bill, which has been passed by the country’s Senate, is supposed to create the legal framework to govern hydrocarbons exploration, but international agencies including Unesco and the International Monetary Fund (IMF), and NGOs including Global Witness, argue that the document falls short of requirements. “This is the first time the country is developing a solid framework for oil governance and the law that they have got now – right at its final stage – is just not fit for purpose,” says Nat Dyer, a campaigner at Global Witness. The DRC is notoriously opaque in its management of natural resources, and despite vast mineral wealth it still ranks second from bottom on the UN’s Human Development Index, with some of the world’s worst rates of malnutrition and child education. According to the Africa Progress Panel, the government shortchanged citizens by at least $1.36bn when it sold undervalued state-owned assets to offshore shell companies in five separate deals between 2010 and 2012. The IMF’s concerns are also “directed mostly at transparency and fiscal issues” a spokesperson for the organisation says. “We have recommended that international best practices be followed as much as possible,” he adds. The draft code is being criticised for failing to safeguard the country’s five Unesco world heritage sites, most notably Virunga – Africa’s oldest national park – which is home to a quarter of the world’s population of endangered mountain gorillas. An existing national conservation law bans oil or mineral exploration in protected sites, but the draft oil bill gives ministers the right to override that rule if exploration is deemed to be in the “public interest”. The International Union for Conservation of Nature, National Committee of the Netherlands (IUCN NL), says this proposition goes against the DRC’s constitution, and points to concerns over what constitutes “public interest”. Unesco’s World Heritage Committee, which establishes the locations to be listed as world heritage sites, maintains that oil exploration breaks with its convention and requested in June that the DRC government revise the law, but it has not received a response, Unesco tells This is Africa. The concern is that after years in the making the government appears keen to hurry the passage of the oil code into legislation, without dialogue with international partners or local civil society. That contrasts the handling of a similar draft mining bill, where ministers are negotiating planned increases to the government’s stake in projects with investors and NGOs. Global Witness’s Mr Dyer says that “the process needs to be slowed down in parliament and there needs to be time for a proper re-write”. With pressure to disclose resource deals mounting under the watch of organisations such as the Extractive Industries Transparency Initiative (EITI), the Dutch committee of IUCN hopes that the DRC’s leadership may answer international critics by amending transparency articles within the bill. That might include creating a more open and transparent tender process, or agreeing to publish resource contracts. Other African countries have already led the way. This year, Guinea’s government began publishing all contracts for the mining sector, in what campaigners have called a major victory for transparency. Looking for progress on environmental issues in DRC may be harder. “So far the Congolese government seems to be giving little attention to the environmental and sustainable development concerns that are so close to the local populations,” Ms Lain says. Some exploration within protected national parks is already underway, led by Soco International, which is looking for oil in a block which overlaps with Virunga national park, and is starting work with aerial surveys of the region. In October, the environmental group WWF filed a complaint to the UK government saying that Soco’s activities violate environmental and human rights guidelines for multinational companies laid out by the Organisation of Economic Co-operation and Development (OECD). 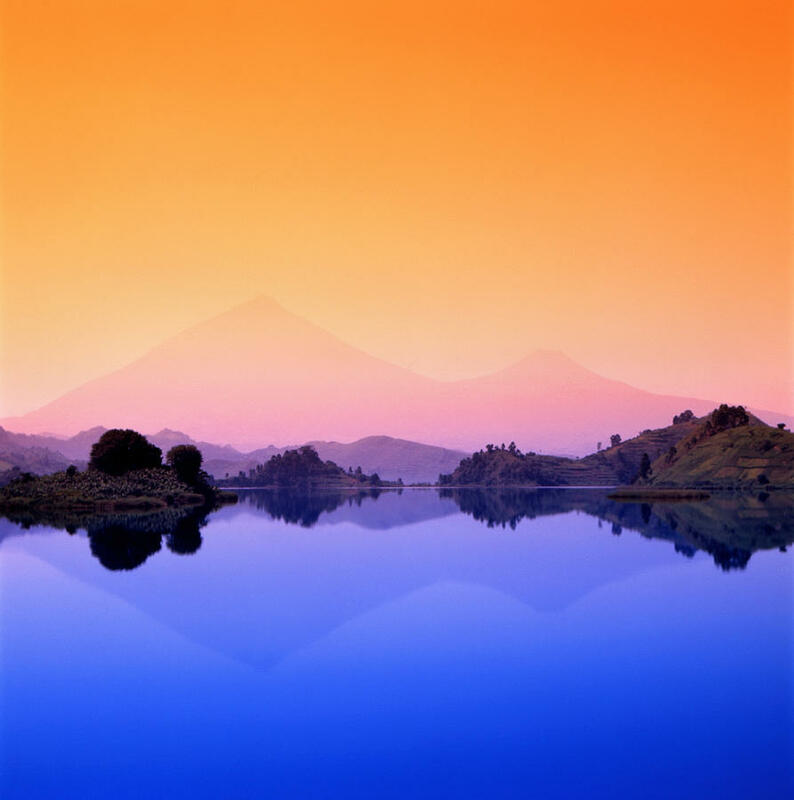 The civil society organisation argued that Virunga national park could earn the DRC $400m a year from tourism, hydropower and carbon credits, but said that “Soco’s operations are putting Virunga’s people, animals and habitats at risk”. Unesco also called for oil companies not to undertake “exploration or exploitation” within world heritage properties. The DRC’s government had allocated a similar oil concession to France’s Total, but that group agreed not to explore the portion of its block that fell within the boundaries of the park, leaving Soco as the only company with plans to do so. A spokesperson Soco says that it is not considering similar action because “no drilling has been planned or is even warranted at this stage”. For that reason, “[we] are not in the same position as Total”, the group says. Soco does not expect its activities to be affected by the passage of the bill, although Unesco’s Mr Debonnet argues that with an insurgency by M23 rebels in eastern DRC now quelled, exploration could ramp up. More broadly, Unesco anticipates a surge of exploration across the country, highlighting the need for effective legislative framework to govern the sector. “We have been informed that oil exploration licenses have been given all over DRC including overlapping with another world heritage site Salonga National Park,” Mr Debonnet says. A map seen by This is Africa indicates that Soco has been awarded a concession in that region, but the group’s spokesperson says that it “neither has nor intends to have a licence that overlaps the Salonga National Park”.